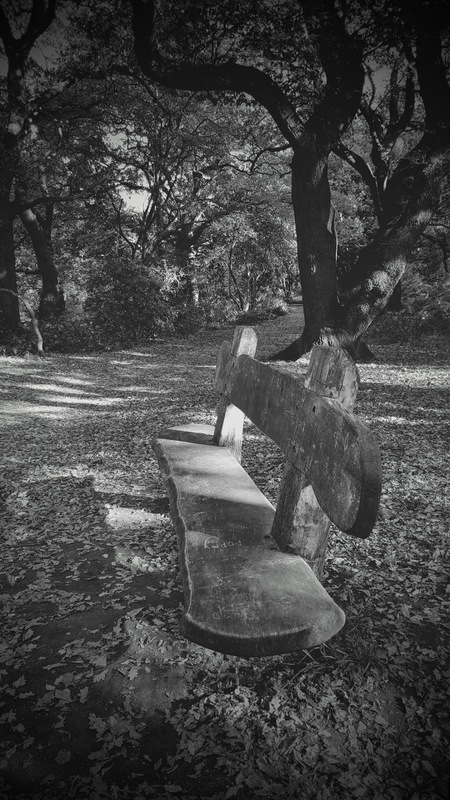 How cool is this bench in Sherwood Forest? It was so peaceful around here. Underneath the trees and sitting amongst the shadows and the fallen Autumn leaves. Deep in the middle of the forest. Lots of twisty and turn-y paths to choose from but which one to take? Twenty-Twenty Challenge And What I Wore…. "Roasted Beetroot Soup With Feta Yogurt Dressing"
"My Sunday Photo : In The Forest.."
Love the look of the bench, which I hope is also comfy. This is so wonderful a view – the B&W adds a classic air to the scene – this view could be today or 100 years ago. Very artistic edit and scene! The trees are all twisty turny too. Love the stone bench.